Forestation has become an important part of the Sustainable Development Goal agenda in order to reduce the pace of environmental degradation and counteract the risk of droughts. The climate of Bunda and Serengeti Districts is tropical, characterized by short rain periods and longer dry spells. Its inhabitants are mostly pastoralists, with less focus on tree planting, but more on grazing pastures for their herds. ACT-MARA has encouraged farmers to plant trees in dry and marginal areas, where there are bare grounds and scarcity of trees. As a sensitization exercise the recent drought was used as a relatable case study to grasp the farmers’ attention. They were trained about the importance of trees in relation to rainfall formation and also learnt that the establishment of tree nurseries is not necessarily capital intensive when available indigenous tree seeds, such as Sedulela, Moringa, Agro-carpus and Cashuarina are collected, and material like mineral water bottles is used as sprouting pots instead of expensive polythene bags. Visits to Agro-forestry centers further deepened the farmer’s understanding of environmental management, as they learnt about inter-cropping and its role in soil fertilization among others. The practice of agro-forestry proves various benefits for the farmers including the harvest of timber, used to provide firewood and poles for construction (Eucalyptus, Cyprus, Tick tree, etc. 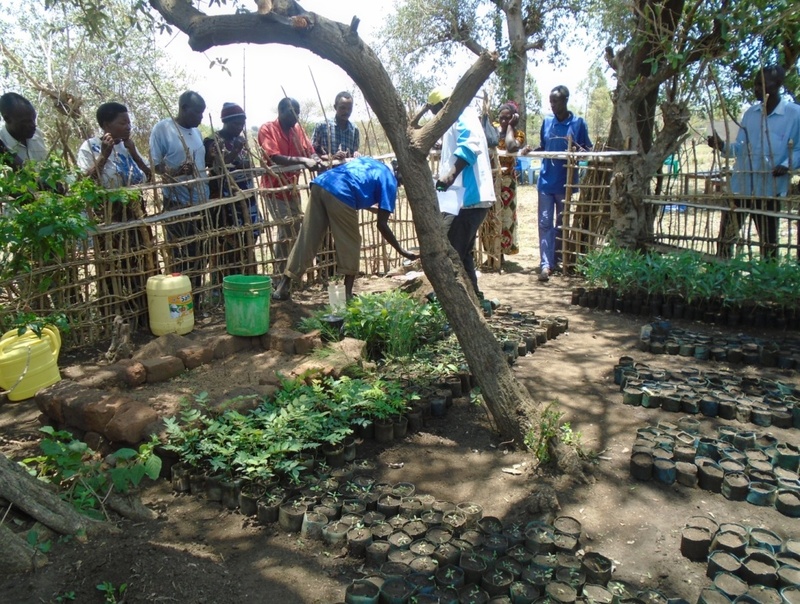 ), creating shade (Ficus, Gravelia, Musizi, “Musita”), nutrition (Mangoes, citrus, avocado, etc. ), and fodder (Caliandra). The farmers soon realized that tree planting is also an interesting enterprise opportunity, when they visited well established tree businesses in Musoma Town. Planting fruit trees not only improves access to nutritious fruits for farmers themselves, but also gives them an additional income source for improving their livelihoods. With this new knowledge most of the farmers are now very motivated to engage in tree planting. Currently, every farmer in the project planted an average of 67 trees of either timber or fruit varieties. More than 138,000 trees have already been planted among 1300 households, with the goal to plant an additional 12,000 trees by the end of 2018. 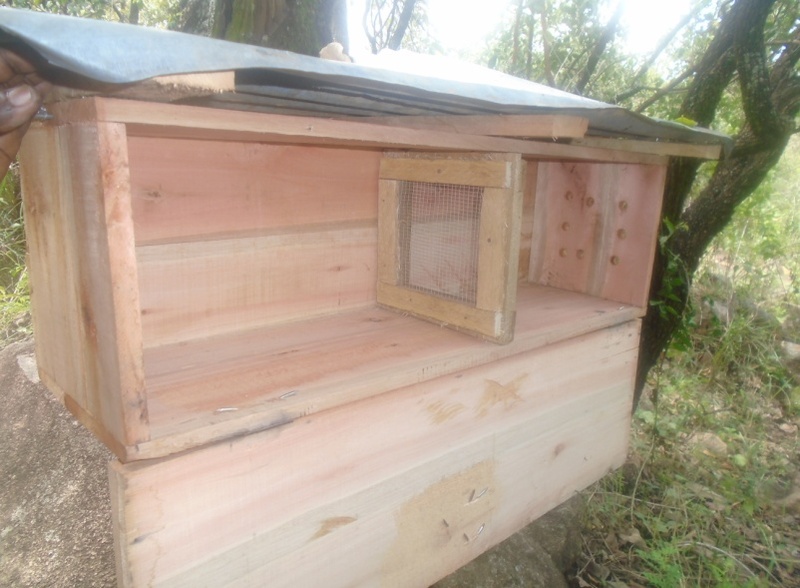 Most of the timber varieties are fast maturing, and can therefore be harvested early enough; giving hope to women who otherwise have to walk long distances to fetch firewood. As for short term businesses, there are currently 3 farmer groups engaged in selling tree seedlings from their nursery beds. ACT-MARA continues to motivate farmers by awarding high achievers with 1kg of seeds and 13kg of polythene bags. A highlight and inspiration for their farmer groups will also be the 2018 National Agriculture Show, which they are planning to participate in.